RAPAPORT... 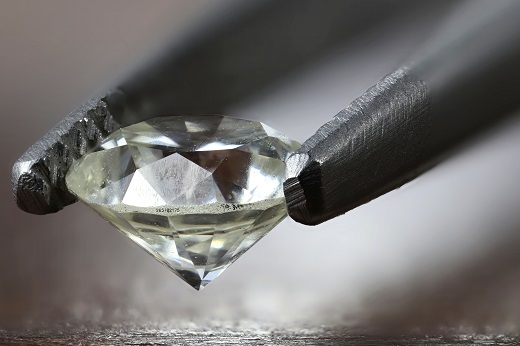 The International Diamond Manufacturers Association (IDMA) is considering an alliance with the World Federation of Diamond Bourses (WFDB) in response to the crisis in the global cutting sector. “With the changes in the diamond-manufacturing sector’s landscape, as well as due to the many other challenges the diamond industry is facing, the time may have come for the diamond trade to unite under a single header and speak with a single voice on behalf of its members,” IDMA president Ronnie VanderLinden said Friday. Many factories have closed in countries such as Armenia, Namibia, South Africa, Russia, Sri Lanka and Thailand, VanderLinden noted. Even in China, the number of active cutters has shrunk from more than 40,000 to fewer than 5,000 in a short space of time, he continued. “This is, of course, having a profound impact on our membership, and this year, several of our members have indicated they do not have the wherewithal to continue their IDMA membership,” VanderLinden added. IDMA and WFDB started discussing the initiative “many years” ago, but made significant progress during the World Diamond Congress in Mumbai last month, VanderLinden added. Representatives of IDMA met with Blom and members of the WFDB’s executive committee at the end of the congress to present a proposal, he explained. VanderLinden noted the example of the United States Jewelry Council, which formed in 2015 as an alliance of 16 trade organizations. Replicating that format in the global diamond industry would be beneficial, as it gives the trade a single representative voice, he said. “The industry’s current, difficult environment requires a more united and coordinated effort and approach, especially when we consider pressing issues like the search for new, alternative financing partners and the many reputational issues we are facing,” he observed. Meanwhile, Prince Mbetse, president of the South African Diamond Manufacturing Association, has been elected as IDMA vice president, succeeding Phillippe Roolant. Matthew Schamroth, a board member for the Diamond Manufacturers & Importers Association of America, became IDMA secretary-general, replacing Kim Lanny.